Nancy Santangelo and her husband started National Escalator Cleaning, LLC in 2010, but this infant company was to hit enormous obstacles in its first few years. Not only did they face stifling competition and persistent solicitors, but Nancy’s business’ co-owner and husband died suddenly, leaving her without a partner or husband. Santangelo approached the Small Business Development Center early in 2012 because her business was being flooded with competitors trying to buy her out. Professional business consultant Michelle Burkart began working with Santangelo, sharpening the focus of both the business and its owner. “Michelle is wonderful,” said Santangelo.  “Before I was swamped, but Michelle is helping me with a business plan and marketing.” Thanks to several sessions with SBDC consultants, Santangelo’s website is under construction and her client focus has never been sharper. Since the death of Santagelo’s husband, Stephen Semaan became a company partner and he and Santangelo now have the equipment they need to continue growing National Escalator Cleaning, LLC. But the courage to be an entrepreneur is something Santangelo had all along.